Earlier this week there were all sorts of seashells washing up by the jetty rocks at Blind Pass on Captiva Island. OMG It was a sight to behold. Although most of the FIGHTING CONCHS you see in the photos were still alive, there were lots of shells there that were completely empty but you had to be fast to get them in the surf. I only had maybe 3 seconds to see the shells in a crevice between the rocks before the water rushed in and swept them away. So much fun! Because of the high winds last weekend, the gulf water got pretty rough and the waves kept piling shells up over and over. It’s an amazing sight to see since we don’t get to witness that every day. Carole from Wisconsin found some awesome shells- that’s her hand in the top photo with the ALPHABET CONE. There was a crowd out there scooping in the water, digging around the rocks, doin’ the sit ‘n sift, and like me… pacing back and forth scanning and pouncing. Here are my fave finds … oh yea, baby, it’s just a piece but it’s the prettiest piece of JUNONIA I could have found. But what beats that for me is the IMPERIAL VENUS (resting between my pointer and middle finger). We rarely find IMPERIAL VENUS CLAMS so for me this is an exshellent find (IMHO – in my humble opinion). I was also really happy to find the sweet little lemon SCALLOP (aka LEMON PECTIN), CARRIER SHELL, BITTERSWEET and the fabulous chuck of CORAL. There were quite a few LIGHTNING WHELKS and MUREXES but these were particularly pretty to me. PS- We had a huge storm that swept through SW Florida this morning so all of our beaches have changed since I took these photos. After the storm calmed down today, I went to the Sanibel Lighthouse and found the road was getting washed away near the fishing pier parking lot. The water was so high, it was almost up to the entrance of the beach accesses on the gulf side of the east end too. I haven’t made it to Blind Pass but I can make a pretty easy bet that this whole pile of shells in this video have been swept back out in the Gulf Of Mexico… but they will be back on their own time. Only Mother Nature knows when. She sure likes to dangle carrots and play games in our great beach combing treasure hunt, doesn’t she? Oh, yes. The video was fine. It is a wonderful substitute for us who can’t be there! Do continue them because they are so special. Oh how I wish I could be there after that big storm. The shells look delicious! I always love coming to Sanibel, but alas, this year will only make it as far south as Fort Desoto near Tampa in March. 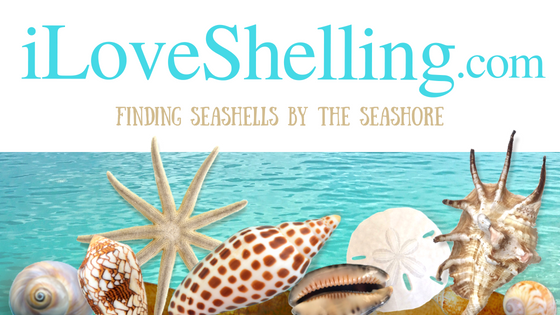 Are there any good shelling beaches around there that you know of? Thanks! Video was nice and clear. All I wanted to do was grab….. the video was the BEST!!!!! And I love the sound of the swish. Oh how I wish I was there…. Thanks Pam, I loved it!! Love that Imperial Venus — that valve looks to be in good shape! The video worked fine, thanks. Great video. Would love to see more! You have the best luck with carrier shells! :-) Arriving tomorrow, and staying at Blind Pass, so I hope some of those shells are still there. My husband came down earlier in the week. When he arrived in Fort Myers today, they told him that a tornado (possible) touched down there this morning. Time for all that stormy weather to move on out of there, so I can enjoy some serious shelling time. I’ll see you on Thursday for the trip to Big Hickory. CAN’T WAIT! Pam, your shells are amazing! I can’t even imagine finding a carrier shell, an imperial venus, a lemon yellow pectin, and part of a junonia all at the same time. I love your videos, so keep them coming! It’s hard to shell when the waves come up so quickly and take them away! But last time I was in FL I got really good at swooping down for a prized shell right when I saw it before the wave got it! I got a lot of great shells that day, too! Beautiful pics/videos and helpful info as always Pam!! I found a crucifix shell in November when I was there and a couple steps later I found my 1st junonia, just a piece of the anterior end but nonetheless a junonia!!!! So maybe crucifix shells do bring luck!! I’ve looked and looked/researched and still haven’t found out what type of fish skeleton I found from another trip and was wondering how I can send you a picture of it. We spoke about it when I was with you on a trip in November and I had shown you another pic of a “mystery/unidentifiable” shell you helped me identify! The skeleton is very different and unique and not a typical looking fish skeleton!! It has a round, ball-like body with a long, straight tail and tube-like mouth! Thanks and looking forward to finding out!! What is the large shell at the base of your thumb? I have never seen that one before. Hope you don’t mind if I explain that it is a giant bittersweet which ultimately get to be very big. They only seem to wash up at Blind Pass, and even there usually only a few of them. Thanks!. Now that you say that I can see it too. I have just never seen them that Big. Yes, keep doing the videos. Luckily, I’ve been able to experience the excitement at Blind Pass twice. We’ve been hearing about the tornadoes and storms in your area, Cape Coral, Ft. Myers and today in Sarasota County. Hope everything is fine by you. Beautiful shells….again. Was there a Shellabaloo this year. I was there over Christmas and didn’t hear any thing about it. Love your enthusiasm about shelling. I’m so sorry I didn’t answer you before Sandi- it’s been wild here. No we didn’t have a shellabaloo this year. The island is very busy already and we just couldn’t find a time it would work for all of us. So sorry!! We’re currently visiting Panama City Beach & normally don’t find shells here. We usually have good luck in the state parks nearby. Yesterday & today he found Imperial Venus Clams! Thanks to your posts I was able to quickly identify. I knew the markings made it look similar to bitter sweets. Love your posts! Wish they were daily, if only a picture!